As Finance Minister Malusi Gigaba prepared to give his maiden Budget speech in the National Assembly on Wednesday afternoon, new information about Gigabas tenure as Home Affairs Minister emerged. The DA announced that it has laid a complaint with the Public Protector against Gigaba as a result of a damning court judgment handed down in December  which finds that Gigaba violated the Constitution by lying under oath. By REBECCA DAVIS. 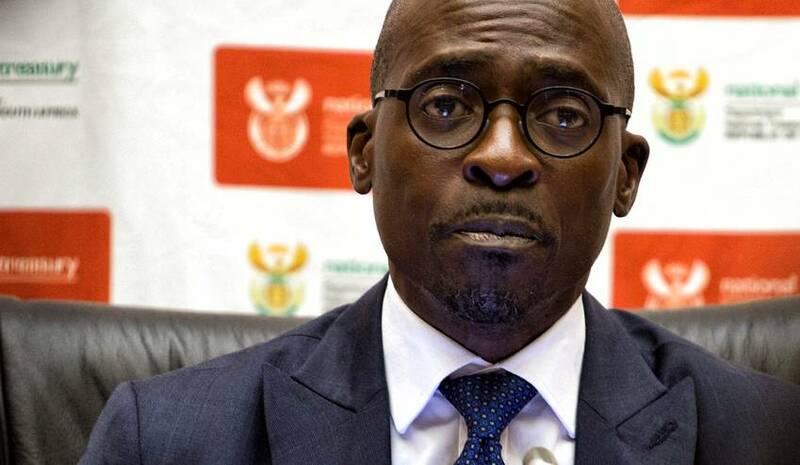 In Finance Minister Malusi Gigabas attempt to defend a decision made while he was Home Affairs Minister, he committed a breach of the Constitution so serious that (the judge) could characterise it as a violation. That was the finding of the Pretoria High Court in December, in a judgment which escaped notice at the time but was drawn to the Public Protectors attention by the DA on Wednesday. The judgment related to a privately-owned international customs and immigration service which began running at OR Tambo Airport in Johannesburg last week. The VIP facility is operated by Fireblade Aviation, an Oppenheimer-owned company, and has been the subject of a years-long legal battle between Fireblade, Home Affairs and Gigaba. The legal saga is messy, as Daily Maverick has previously reported, but the crux of the issue was quite simple. Fireblade said that Gigaba had given approval for the establishment of the VIP facility at a meeting in January 2016 while he was Home Affairs Minister. Gigaba subsequently claimed that this approval had never been given. Complicating the matter  or clarifying it, depending on your perspective  is the claim that what scuppered the deal is that the company leasing the property for the facility to Fireblade was state-owned arms manufacturer Denel, which has well-documented Gupta links. It was alleged during the court proceedings that the Guptas leaned on Gigaba to withdraw his approval for Fireblade because they wanted in on the deal. Judges considering the matter have not dealt with that particular aspect of the case. But in October 2017, the Pretoria High Court ruled that Gigaba had indeed given approval for the Fireblade project to go ahead, contrary to his denials. Gigaba and Home Affairs tried to appeal the judgment, with Gigaba quoted at the time as saying that the judge got it very wrong. It now emerges, however, that a three-judge bench of the Pretoria High Court denied Gigaba the right to appeal in December on the grounds that such an application had no chance of success. The judgment, authored by Judge Neil Tuchten, is scathing. Tuchten writes that the evidence presented in the original case shows incontestably that Gigaba did indeed grant permission for the VIP facility and then revoked it. This is particularly significant, says the judgment, because Gigaba is no ordinary litigant, but a minister bound by his constitutional oath of office. By telling a deliberate untruth on facts central to the decision of this case, the minister has committed a breach of the Constitution so serious that I would characterise it as a violation, Tuchten found. The DA has now laid a complaint with the Public Protector in response. These findings are unequivocal and form the basis of the DAs complaint to the Public Protector to investigate Minister Gigaba for his breaches of the Constitution, the Executive Members Ethics Act and the Executive Ethics Code, read a statement released by DA chief whip John Steenhuisen on Wednesday. The DA said that the courts findings were further evidence that Gigaba had to be removed from the Cabinet without delay. Photo: South Africas Finance Minister Malusi Gigaba addresses a news conference in Pretoria, South Africa April 4, 2017. REUTERS/James Oatway.